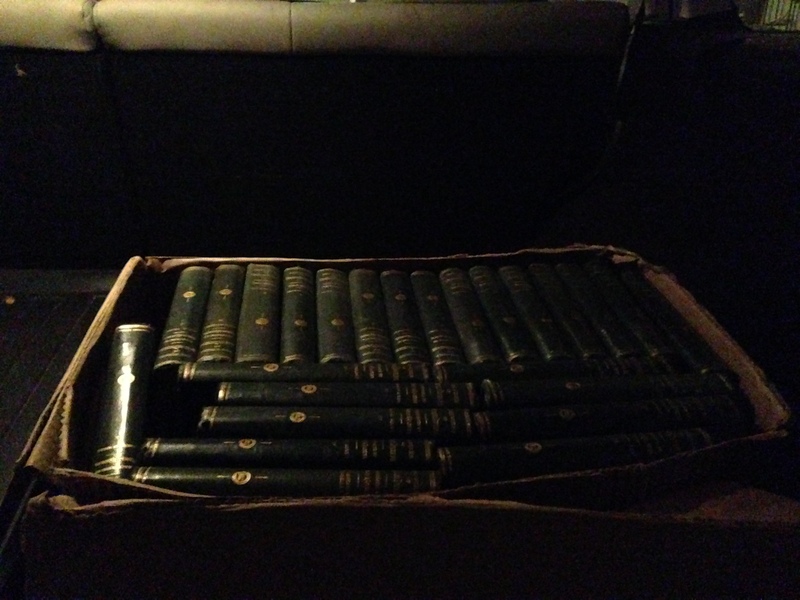 Clump #235: Return furniture to carpeted rooms; final cooking and cleaning for guests; bring Dickens collection to car. Day 30 of the 30 day challenge … baby! Oh, the adrenaline is flowing, friends. But one blissful fact lifts me up: Day Thirty!! Whoo-Hooo! Let me make one thing perfectly clear: my husband’s sisters are the greatest. Fun, warm, down-to-earth, generous … just about any positive adjective you might imagine; I can’t wait to see them. If they were here, they’d say, “Don’t fuss!” So my pre-guest anxiety is wholly and completely of my own making, out of proportion to reality. I guess that’s the puzzle I’m trying to solve in these posts. Thank you so much for reading and following along this month. Your support has meant so much to me, whether I’ve heard from you or not. It’s always a surprise when I’ve received comments. Really? You’ve been reading? How wonderful! The following message was emailed to me today by a very dear friend. I want to embroider it on a pillow … after I stop tearing up. relax and enjoy your sister-in-laws visit. I’m sure everything looks lovely! At the end of this challenge, I’m whittling down my to-do list to what is practical for the very little time left. But I’ve been keeping up with the mail and newspapers. (I say with a shake of the fist!) 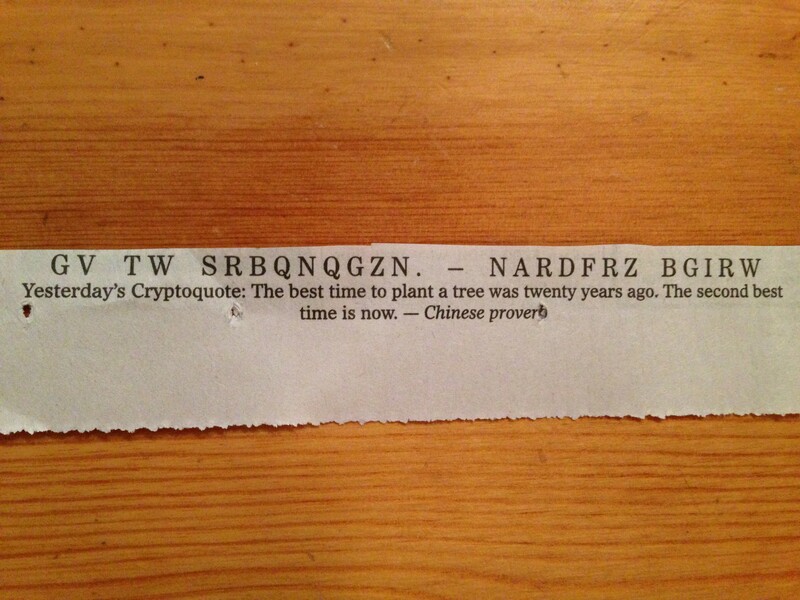 Yesterday’s Cryptoquote solution, in today’s paper, was so very apt. 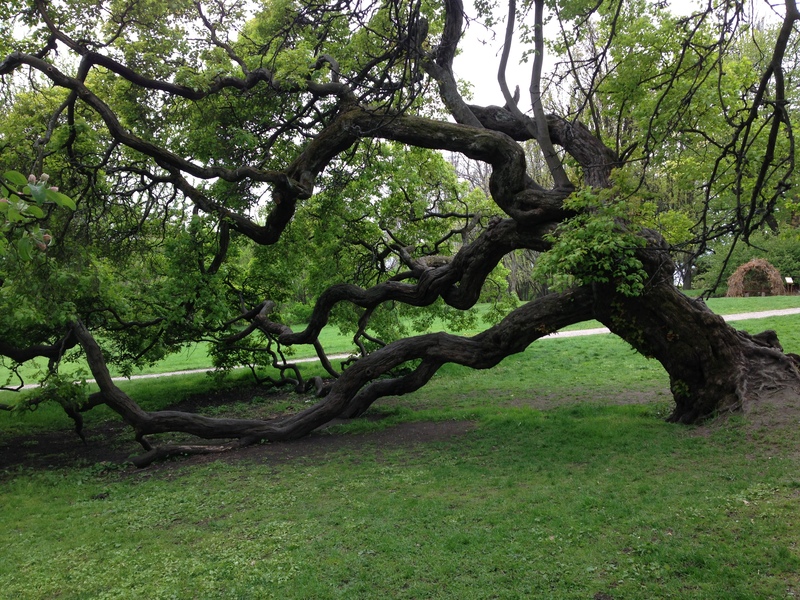 I can’t expect the house-transformation equivalent of a twenty-year-old tree. But second best is pretty darn good. I’ll end with a photo I took this evening from the car on the way home from visiting my mom.